DLM Marketing offers a few standard SEO packages however we can design a SEO package to suit your keyword requirements. Please don’t hesitate to contact us with your requirements so we can provide you with a competitive, detailed quote. Not sure what SEO actually is? SEO is an abbreviation for Search Engine Optimisation and there is a variety of techniques professional SEO providers use to help your website perform. Beware of cowboy SEO providers as there are plenty around and they normally use malicious and black hat techniques. You are ultimately responsible for your website, so if you hire a crooked SEO provider and they get your site “blacklisted from google” it’s your business that will suffer. Any provider that tells you that they can guarantee a number one ranking in Google search should be avoided. In addition you should also be wary of offshore providers because. Because if they destroy your web presence, your chances of a legal challenge is exceptionally limited. DLM Marketing offer a professional, white hat SEO service and we never use techniques outlawed by major search engines such as Google or Bing. Ultimately, we want to uphold our excellent reputation and that’s why we do everything the right way. 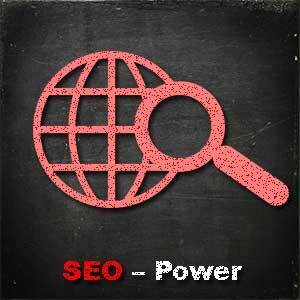 The final thing to remember is that SEO is the process of getting your site to appear high in organic search results. Make sure you don’t get confused with pay per click advertising or google AdWords. Because these are a Search Engine Marketing (SEM) technique and have no influence on organic SEO. DLM Marketing will only use white hat SEO techniques – DON’T GET BITTEN BY A CROOKED SEO PROVIDER! In search engine optimisation (SEO) jargon, white hat SEO refers to the usage of optimisation strategies, techniques and tactics that focus on a human audience opposed to search engines and completely follows search engine rules and policies. For example, a website that is optimised for search engines, yet focuses on relevancy and organic ranking is considered to be optimised using White Hat SEO practices. Some examples of White Hat SEO techniques include using keywords and keyword analysis, back linking, link building to improve link popularity, and writing content for people that has been optimised for search engines. Please keep in mind that these are our standard SEO packages, we can design an SEO package to suit you and your budget. This is a perfect SEO package for small to medium businesses that wish to target up to 10 keywords or phrases. All our standard SEO packages are based on the number of keywords you wish to target. Initially, we will audit your website to make sure it is healthy. We look at backend code structure and the layout of your site. We normally spend the first month of your SEO package ensuring that your site is ready to drive traffic towards it and Google can find and crawl your website. After the initial month when all the bugs have been fixed, we will dedicate a certain amount of time to ensure the content on your site is optimised for your selected keywords. Keyword research – we will research your industry, competitors and your business to devise a list of 10 keywords or phrases we will optimise your website for. Each month we will add one keyword rich news / blog article to your site. Each month we will log into Google Console and investigate any messages or crawl errors from Google. Each month we submit an updated site map to Google and request Googlebot to crawl your site. Research and generate up to five quality backlinks per month. An SEO report will be sent to you monthly so you know exactly what we are doing and how your site is performing. This SEO package is also ideal for small to medium businesses that wish to target up to 30 keywords or phrases. By targeting more keywords you ultimately increase your potential reach. This package is by far our most popular standard SEO package we currently offer. All our standard SEO packages are based on the number of keywords you wish to target, the more keywords you add to your package the more economical it is. Again with this SEO package we commence with a complete audit of your website to make sure it is healthy. We look at backend code structure and the layout of your site. We normally spend the first month of your SEO package ensuring that your site is ready to drive traffic towards it and Google can find and crawl your website. Keyword research – we will research your industry, competitors and your business to devise a list of 30 keywords or phrases we will optimise your website for. Each fortnight we will add one keyword rich news / blog article to your site. Each month we will log into Google Console and investigate any messages or crawl errors from Google. We also check for additional items such as site speed, html improvements etc. Research and generate up to eight quality backlinks per month. This is a serious SEO package is also ideal for medium businesses to large corporations that wish to target up to 50 keywords or phrases. By targeting more keywords you ultimately increase your potential reach. 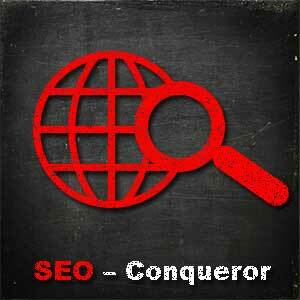 This package is by far our most superior standard SEO package we currently offer. All our standard SEO packages are based on the number of keywords you wish to target, the more keywords you add to your package the more economical it is. Keyword research – we will research your industry, competitors and your business to devise a list of 50 keywords or phrases we will optimise your website for. Each week we will add one keyword rich news / blog article to your site. Research and generate up to ten quality backlinks per month.